Playing with environment and weather effects to set a scene and mood, using an urban, automotive theme. 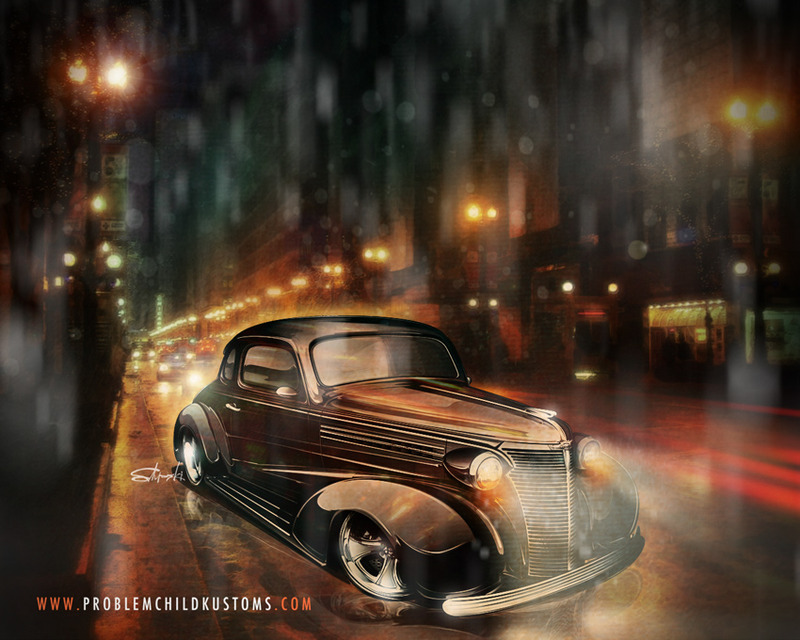 Playing with some rain, reflections and atmosphere to create a peek into an evening on the town with a slick street rod. Had a ton of fun with this, exploring ways to create the look and feel of environmental action.